Are we too afraid to ask the obvious? What if you have an opinion that institutionalized misogyny is maybe not such a great thing? Does even the question make you a bigot? 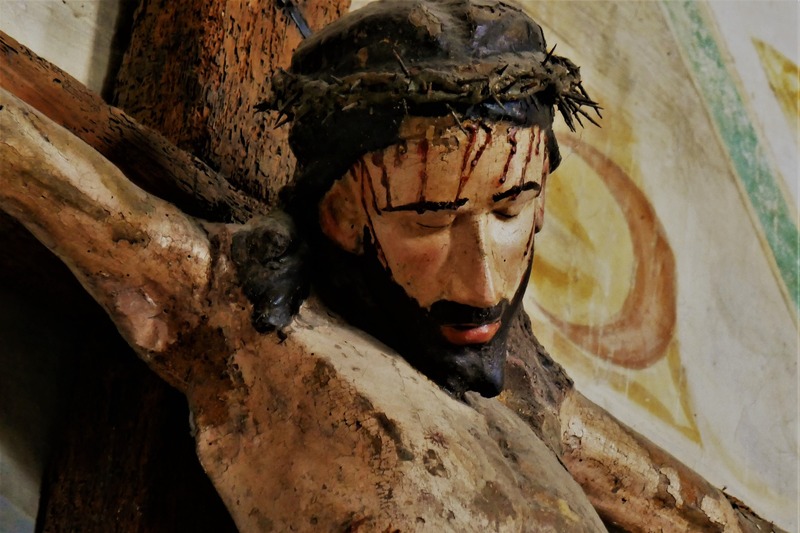 What if the centerpiece of my ‘religion’ was not a resurrected son-of-God who died in excruciating pain for all of our hatred, shame, and imperfections manifested in misdeeds. But instead a warlord who to achieve power, subjugated other men, women, children, all in the name of (presumably) the same God. What if that latter ‘religion’ was not one of proselytizing through love but through violent means, extortion, blackmail, lies and subterfuge. What if it called for honor killings, female mutilation, death for apostasy, ransom, and purposeful deceit to advance it’s growth. What if you do not have the intellectual ability to recognize a difference between spiritually uplifting beliefs, and those that foment acts of cowardice and terror quite literally DAILY. Are these not legitimate questions? Sadly we have those who in their political aspirations are too fearful to ask them. The few who do, become targets of the purposefully stupid or intellectually dishonest in media, and are quickly branded as bigots and intolerant. ← I think that this situation absolutely requires a really futile and stupid gesture be done on somebody’s part! Your last paragraph sums up the frustration that I, and I am sure, many others feel when a good man such as Pat Colbeck is slandered in the manner in which he has been slandered. There is no reasoning with those who write the ignorant comments in relation to the article that you link in the Detroit News. Since 9/11 I have read volumes regarding Islam so was not surprised when I clicked on the links in your article which took me to the details regarding Islam. Maybe the democrat candidate is really a "moderate", but what if he isn't? And if he is a "moderate", what does that really mean? Indeed.. what does it really mean? I guess maybe he only 'moderately supports' his prophet's murderous ways? It's 'kinda ok' to mutilate young girls? Only some terrorist activities are alright? If he's really a "moderate" it means that he only finances those who are not, and doesn't do the physical things himself. It also means that he is considered a traitor by those who are not "moderates" and so his life could actually be in danger. It is far more likely that he is presenting himself as a moderate because it is advantageous to his goals, and THAT is encouraged by the doctrine of the religion he professes. “We categorically condemn any sort of hate speech, regardless of the source,” Anderson said." Gee look, yet another example of the republican kakistocracy going after someone who actually has the audacity to stand on principle. Does anyone else find it peculiar that we have not heard anyone from CAIR, the MDP or any of the other groups attacking Sen. Colbeck's position to cite specific examples of where his information if wrong? If he is as wrong as they claim, then it should be exceedingly easy for them to lead with that each and every time a camera and/or microphone is thrust in their faces seeking comment. To date, I've yet to hear any one of these apologists do it just one time! OABTW, since Ms. Anderson is so clueless on the effects of cultural jihad, then I highly recommend taking a look here. and here in an effort to get up to speed with the rest of us. It's incredible what doesn't get reported in the media nowadays. Amazing. It's stupidity like this that's the biggest detriment to anyone on the Right. Not how this will be defeated. Fact. He just picked up 100k votes. I sat in a town hall for El-Sayed a week ago in Traverse City. I was amused how many gays (i.e., progressives) were in the room, avidly clapping every time "Muslim" was said. Clueless are these folks unaware that this cultural Jihad includes their demise. That the Muslim Brotherhood and CAIR are banned in other countries with good reason; and, that numerous sovereign countries ban Muslim's any chance to immigrate. Patrick Colbeck is stating in clear, concise words, what needs to be said over and over again. And, I note, what has occurred, is the silent majority is not being so silent.